Ageing skin is an inevitable and natural process which will never stop. Although, it is an undeniable process, nobody wants to experience the undesirable aging effects. Aging actually results due to a decrease in the production of collagen, which in turn results in fine lines, wrinkles, as well as brown spots on the skin. Too much exposure to harmful ultra-violet radiation as well makes the skin prone to sun damage, which might lead to early signs of aging. During this stage, opting for a treatment procedure immediately is critical in order to control these undesirable aging signs. There are several ways to treat skin problems caused due to ageing, such as chemical peels or perhaps home skin care products. However, such methods can result in some pain and discomfort for the patients in addition to having a longer recovery period. Amongst the various treatment options available for treating fine lines, wrinkles, brown spots and other skin aging problems, laser photo rejuvenation is considered to be the most promising skin treatment. With photo rejuvenation, people can combat the negative effects of ageing skin and improve the appearance of facial skin. 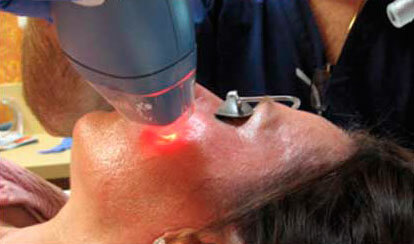 Laser rejuvenation Photo rejuvenation has become an easy and extremely effective way of dealing with skin problems. Unlike some of the other procedures, photo rejuvenation is a much gentler, softer, as well as quicker method of treatment designed for helping you achieve a healthier and younger looking skin. Laser photo rejuvenation is regarded as the most preferred method for treating ageing skin problems. The photo rejuvenation procedure is the latest addition to the skin care treatment procedures that have proven highly effective and have provided visible results. With this treatment you can overcome various skin problems and would be able to enjoy a much cleaner, vitalized and fresher skin tone and texture. Photo rejuvenation procedure uses continued led light or intense pulsed light in order to treat wrinkles, fine lines, sunburn, enlarged pores as well as acne. Laser photo rejuvenation or intense pulse light treatment helps deal with many skin conditions. This procedure suits almost all skin types and treats skin disorders in order to provide revitalized skin naturally. This new age treatment method is most commonly used for lightening and removing age spots, sun spots, and brown marks on the face, neck, chest, hands as well as other areas of the body. It is effectively used for reducing rosacea, redness and dilated or broken blood vessels on the face, neck and chest area. In addition to this, photo rejuvenation also helps control flushing, improves skin texture by way of collagen stimulation as well as improves the size of pores by reducing oiliness. Over a period of time, you will achieve a more youthful looking appearance with the laser photo rejuvenation procedure. Laser photo rejuvenation procedure is performed by making use of intense pulse light energy in order to heat the upper layer of the skin. The light energy that is applied to the outer surface of the skin delves deep into the skin without causing any damage the surrounding skin. These areas absorb light energy which results in the stimulation of collagen. Following the stimulation of collagen production, it results in dramatic reduction of wrinkles, fine lines and age spots. Photo rejuvenation treatments can be used to treat virtually every area on the body, such as the face, neck, chest, arms and legs. Laser photo rejuvenation session’s lasts for only about half an hour and it usually requires 5 sessions spaced out between 2 – 4 weeks in order to produce optimum results. Are there any complications involved? There are no known risks involved with photo rejuvenation and the procedure has proved to be very safe. In comparison to facial plastic surgery, there is significantly less pain experienced during the procedure. Many patients have compared the procedure to feel like being snapped with a rubber band. Patients could request for topical anesthesia, following which the pain is minimal. The only marks that show up following the procedure will be slight redness or bruising, which eventually fade away. Is the Treatment Safe with No Side Effects? Photo rejuvenation is a gentle and non-invasive treatment which has minimal or no side effects. However, patients might notice some minor bruising, temporary redness on the treatment area or swelling. These symptoms are short-lived and would last only for a few days. It is always advisable to avoid direct exposure to sun throughout the procedure. According to dermatologists, this procedure produces quick and optimum results in comparison to any other treatment procedure. Photo rejuvenation involves virtually no discomfort after the procedure. However, there is the exception of minor bruising or redness on the skin. A flushed appearance might also be present. These symptoms would soon fade away and what is left behind is youthful looking skin. The physician may provide some instructions that you need to follow after every treatment session. These instructions might include avoiding sunscreens or certain skin cleansers. In order to achieve the best results, it is always advisable to follow the instructions provided by the doctor. What results should I expect to see after undergoing Photo Rejuvenation?